Over the years I have shared my home and my life with a wealth of different pets and I’ve loved every minute of it – well, not every minute but the majority of the time. Pets are great teachers of life’s important lessons. As I type this list of pets I have owned (not all at once, mind you), I am a little taken aback with the variety – dogs, cats, rabbits, chooks, ducks, guinea fowl, geese, cockatoos, corellas, dairy cows, calves, horses, ponies, donkeys. These have been my pets throughout my adult life. I was born with an inbuilt passion for animals but we had few as kids because we moved around the country a lot. However, when I left home there was no stopping me. With money saved obsessively at my first job, I bought a horse. No, I didn’t have anywhere to keep him but yes, I had learned to ride in the meantime. “Mac’s” impending arrival taught me a number of things: how to find an agistment paddock in a hurry, how to avoid being head-butted by the billy goat at the agistment paddock, how to conquer fear when Mac and I ventured out on a ride together, how to control my annoyance when he turned his nose up at B-grade hay, going on a hunger strike until I presented him with only the best, and most expensive, feeds. But Mac was the love of my life and, apart from shoeing expenses every 6-8 weeks, he was healthy and rarely needed veterinary attention until the end. He accompanied us (I married in the meantime) to three acreage homes and had a great life for the remaining 14 years we were together. Well, there have been a variety of them. My dogs have mostly been working dogs of blue heeler or kelpie extraction as they fitted in better with my horse riding lifestyle. “Bill” was my first dog, rescued from a farm where he had spent the majority of his two years chained up because he chased the stud sheep. He was one of life’s great characters, as animals and people often are when they are different. Bill’s most infamous habit was ripping the mudflaps from cars as they drove past our farm. But he was particular: only expensive imported cars were targeted. Hence, I was constantly being approached when out and told about Bill tearing the mudflap off someone’s Jaguar, Range Rover or Mercedes. Luckily, the nouveau rich of the area did not demand compensation for Bill’s misdemeanours! And it gave them something to talk about at Friday night’s community drinks. A house is not a home without a cat or three, is it? I’ve had some beauties. Like Gracie, who calmly tackled two visiting, out-of-control German Shepherd dogs that rushed at her with evil intentions. They soon turned tail and fled when she slashed them with the accuracy of Zorro. And all without even getting up from her sleeping position. Gracie also used to come mustering cattle with us. She would be with the horses and dogs for the three kilometre ride to the cattle yards where she would wait until we came back. Even if we were away mustering for five hours, she would always be at the cattle yards when we returned and would then accompany us with great flourish back to the homestead. When reflecting on all our cats over the years, apart from desexing and one-off problems like tick bites or abscesses, all have been healthy and not a veterinary money drain. Only one, “Ramsay”, who was, I’m told, a Russian Laksa (I was never sure whether that was a breed or a national dish). 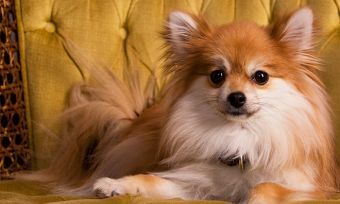 Ramsay was house trained and liked nothing better than cuddling on someone’s lap on the couch watching TV. If anyone in the household was sleeping in, Ramsay would hop into their room and stand up with his front legs on the mattress near their face. Many a family member and guest has been rudely awakened by a twitching nose just centimetres from their sleeping face. It was very funny to watch. Ramsay also used to jump high in the air over the dogs, as they lay in the yard. And our greengrocer loved him. Bundles of fresh produce, such as outer leaves of cabbage and lettuce, were saved for Ramsay as the fruit shop was continually being tidied up. Hence, Ramsay’s running costs were not a burden and I would recommend rabbits as pets if it is legal in your state to keep them. We’ve had a variety of chooks and bantams which have rewarded us with fresh eggs daily. I have tried several breeds of chooks and soon discovered the flashier, bigger breeds such as Plymouth Rocks while gorgeous to look at, actually eat like horses. They were eating me out of house and home so I decided to stick to something slightly smaller like New Hampshires. After all, we were only interested in egg production and never in eating the bird – who could do that when they all have names and different personalities? We also had guinea fowl at one stage. These engendered an instant love/hate reaction – I loved them and my husband, the dog and my horse vet hated them. Admittedly, the word peace took on an entirely different meaning when the guinea fowl eventually moved on, something I have since found out happens regularly with these nomads. After buying two donkeys, they became three when one foaled a year after arriving. Molly and her adult daughter Flicka were originally intended to take the place of our horses which had all crossed over the rainbow bridge after a life of luxury at our place. Molly was, unbeknown to us, in foal and in due course Elvis arrived with all the cheek, swank and swagger of his namesake. Donkeys are very loveable pets, if you are set up for them. And we were, with paddocks, stables etc. originally used by the horses. The donkeys are lots of fun and very affectionate to us and visitors alike. They can be ridden and I am training Flicka for harness. I have a cute little sulky with room for my dog and dreams of going off on country drives with her. We will see how that pans out! The main health concerns to watch out for with donkeys are obesity and hoof diseases. Both are the result of keeping donkeys in unnatural conditions – they are semi-desert animals and cannot process rich foods. That doesn’t mean to say that (like many humans) they don’t like eating all the things that are bad for them. They do and can be quite insistent. 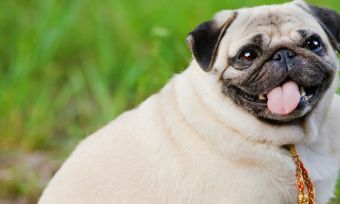 Weakness in owners is instantly exploited and can easily lead down the path to obesity. Aside from that, they are great fun, particularly when they bray in the early hours of the morning. One thing I have noticed since moving to acreage is that most people think we are automatically going to keep llamas, goats, sheep and cows, obviously not having the faintest idea of what that entails. The general population of friends and acquaintances also looks upon our property as a dumping ground for unwanted pets. I have lost count of the number of phone calls I have had, asking questions such as whether I would like a 350kg “miniature” pig, a Shetland pony that kicks everyone, a rooster that attacks kids, a bald cockatoo – the list goes on. This reinforces one very, very important point with keeping pets – only choose pets that suit your lifestyle and budget. A guinea pig can give you as much pleasure as owning something far bigger with more needs than you can cope with. There is no such thing as a maintenance-free pet and you have a duty of care for life to the pet you choose. These days you can also hedge against big, unexpected vet bills by having pet insurance in place. Some policies may suit better than others, depending on the type of pet you have so check out what’s available, what they cover and what they don’t. 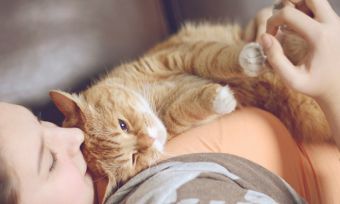 One thing’s for sure, the right pet will give you a lifetime of love and many happy times together. And that’s priceless.